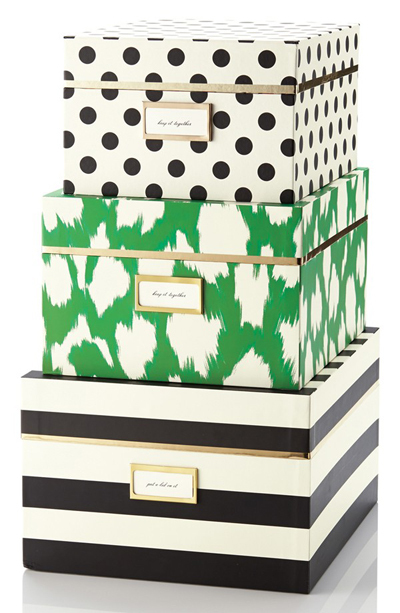 Clashy and sassy, these adorable Kate Spade Storage Nesting Boxes turn storage into a stylish opportunity. The large box accommodates sweaters or files, the medium is perfect for your papers, and the small is great for stationery. $54. Free shipping. Buy here.